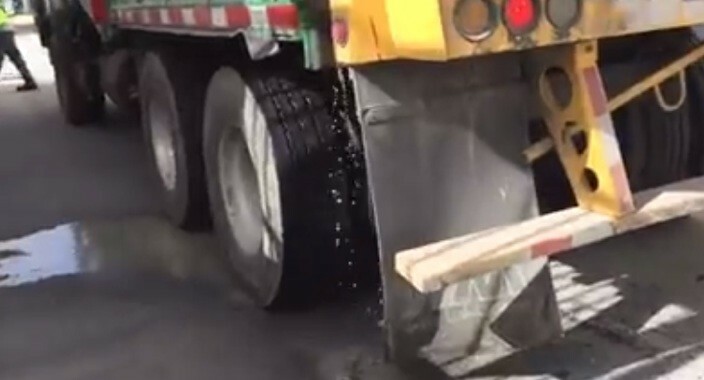 After a relentless pursuit – that often involved following garbage trucks on foot and by car – Miami Beach this week reported progress in its effort to put an end to garbage trucks leaking their contents onto City streets and alleyways. 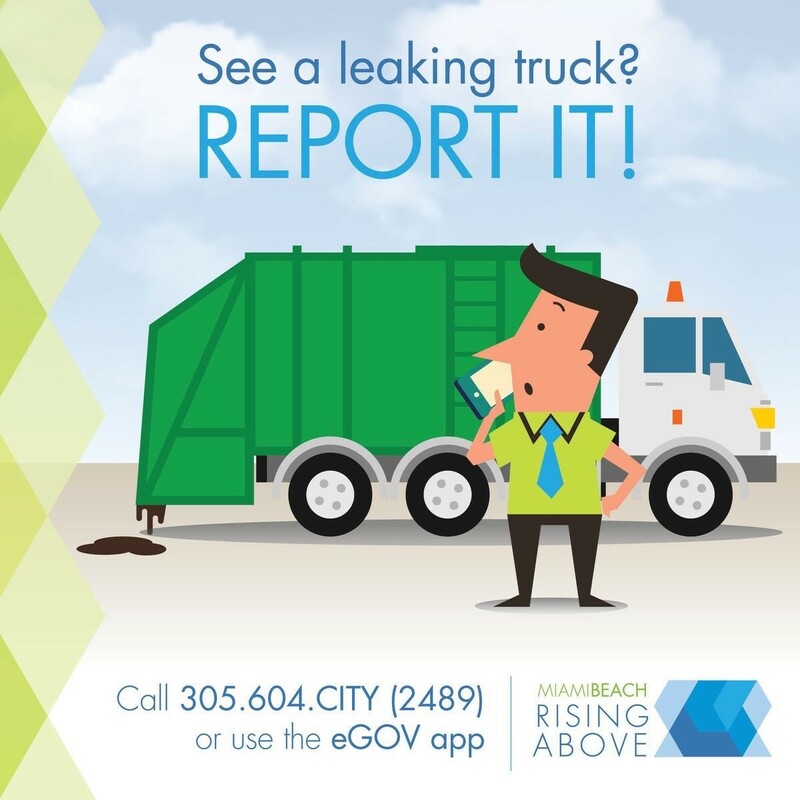 Earlier this year, in response to activist Michael DeFilippi and members of his Clean Up Miami Beach Facebook group, the City began a crackdown on leaky garbage trucks. The approach involved fines and repairs to prevent recurrences. Sarah Saunders, Code Compliance Manager, said “We are no longer receiving complaints” and the last fine for a violation was issued on March 14th. Commissioner John Alemán asked Staff to continue the City's public information campaign (illustration below) to report any violations as another way to keep up with the progress.